Looking for exciting activities in Hershey, PA? You’re in luck. The unique and varied entertainment in Hershey, PA is known throughout the state! Whether you’re spending your vacation here or looking for family activities near Hershey Park, our town has something for everyone. Our performance venues frequently host the biggest touring acts in the nation, putting entertainment in Hershey, PA on the map for concert goers and theatre lovers. On the other hand, many Hershey activities provide unique experiences for children and families alike. No matter what you do, you’ll have a blast! Check out our list of Hershey, PA activities right here! When you’re finished, explore fantastic Hershey, PA attractions and check out the Hershey, PA shopping opportunities! Adventure Sports in Hershey, a family entertainment center located within minutes of the major Hershey attractions. Located on ten acres of beautiful countryside, the flowers, and waterfalls offer a respite from work and school. The park offers great entertainment for the whole family and features go-karts, miniature golf, bumper boats, batting cages, video arcade, outdoor laser tag and snack area. A short distance away, Adventure Sports in Hershey has a twenty acre, lighted driving range with twenty four practice stations, as well as a sand and chipping area. A golf instructor is available by appointment. Do you enjoy TV detective shows such as CSI or Sherlock Holmes? Or maybe modern reality shows like Survivor, The Challenge, The Amazing Race where teams need to work together to solve a puzzle in an allotted amount of time? Or do you have skills for strategic games and brainteasers such as Stratego, Chess, Clue or Mindtrap? 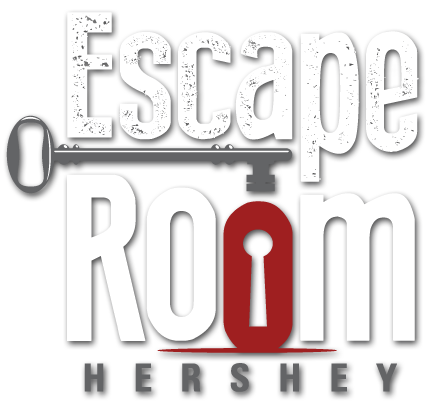 Then you’ll love Escape Room Hershey! GIANT Center is a 12,500 state-of-the-art arena that offers a full array of musical and sporting events and also serves as home ice to the AHL Hershey Bears hockey club. A red carpet experience awaits when you visit Hollywood Casino at Penn National Race Course. Central Pennsylvania’s premier entertainment facility is open 24 hours a day, 7 days a week.